The first thing to consider when starting a small business is to select an interesting name and logo for branding purposes. Those two components of the business will be seen on everything associated with the products or services offered. Signs, business cards, the entrance, the website, promotional material, letterhead, and social media sites. A name that sounds ordinary, or a logo that is dull, will be forgotten quickly. Once a name and logo is selected, branding can begin. It is important to be able to answer the question of what is branding, in order to be successful at it for the business. 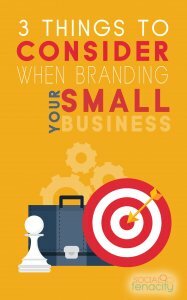 Branding is the total package of what the business does, what unique qualities it has, and how it communicates with customers. It is conveyed via the the name and logo, any slogans or tag lines, images or characters associated with the business, and messages found in content. If branding is done well, the business will be recognizable to large numbers of people. An example of iconic branding is Nike. People all over the world recognize the company name, the logo, and various items within the product line. They also associate it with high quality sports wear and sneakers. Some branding is so successful, it replaces the actual name of the business in common culture. An example is “iHop”. Most people will say “iHop” when referring to the International House of Pancakes. The acronym is more known than the original name of the business. Try to keep it simple when creating a brand. If it is too complicated, or difficult to remember, it will not connect with customers. Focus on the one element of the business that sets it apart from the competition. That can be a unique product, a method of service delivery, or a new type of restaurant. An example of simple and focused is the oil changing business called “Jiffy Lube”. It was one of the first places that provided quick oil changes for customers. People did not have to make an appointment, or wait long periods of time for service. The name basically says it all in two words. When the brand strategy part of branding your small business is done, the process of promoting the business can begin. Small business typically have tight budget constraints, so creativity will be crucial in brand marketing. Start by ensuring the products made, or services provided, are of top quality. It is easier to promote a business that is consistency better than the competition in some way. That can mean offering better value, excelling at customer service, lower pricing, or doing things a bit differently. Once a difference is established, work at maintaining what sets the business above the business across town. Many businesses start off great, and then fizzle out after a little bit of success. Some electronics companies, clothing manufacturers, and chain restaurants, for example, are now struggling because they did not continue to offer that extra value, better food, higher quality, or lower pricing. The easiest way to promote the business is to nurture customer service. Improve procedures and practices, implement customer feedback into policies, and let customers know how much their business is appreciated. A customer who feels valued is the best advertisement any business can have. It cannot be purchased, yet it is priceless. People will recommend the business to friends, mention it on their social media pages, and write wonder reviews for the business. A clever way to promote the business is to partner with other businesses to host a special event or promotion. That will be cost-effective, attract customers, and provide wide exposure for the business. A few local businesses that cater to children, for example, can arrange a fun day in the park. That can be beneficial to a kids clothing store, a toy store, a business that custom builds playground equipment, a martial arts school, and even a daycare center. Dividing the costs makes the event affordable, and having a variety of activities will draw a large crowd. In one afternoon, the branding of the business can be seen by hundreds of people. They will get familiar with the name and logo, learn about the unique characteristics of the business, and make a connection with staff. 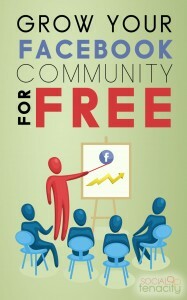 One or two community events each year can increase customers, and revenues. Are you ready for Social Tenacity? 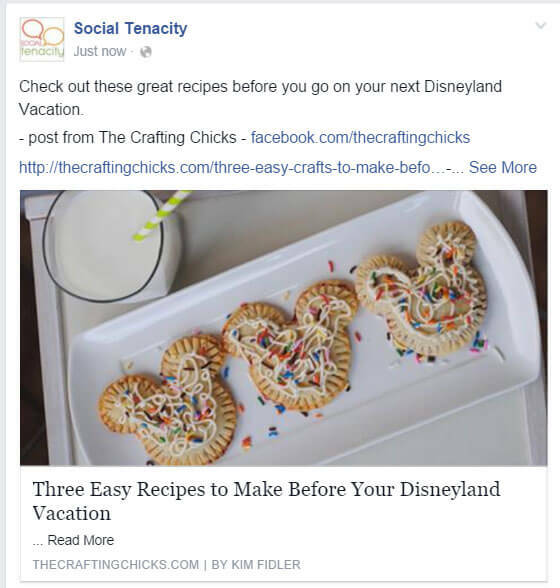 https://socialtenacity.com/wp-content/uploads/2016/06/are-you-ready-for-social-tenacity-youtube-thumbnail.jpg 720 1280 Brooke Elder https://socialtenacity.com/wp-content/uploads/2018/10/Social-Tenacity-Color-300x143.png Brooke Elder2016-02-13 23:58:032016-02-13 23:58:03Are you ready for Social Tenacity? When you write blog posts on your WordPress site is not enough to get Google to index your newest post and make sure your post is optimized for the keywords that you are targeting. Everyone talks about the Yoast SEO plugin for your WordPress site, but another plugin that we found this week is called Squirrly. Here at Social Tenacity we use both plugins. They both look at Search Engine Optimization a little differently. Let’s take a closer look at SEO by Squirrly. Squirrly shows you real time optimization so as you are typing your article or blog post it tells you what you need to add in order for your post to be optimized for your specific key word. By using the prompts that Squirrly gives you your traffic will increase. If you don’t know what keywords to optimize your post for it will help you find which words fit best with your post and what your customers are searching for. There is also great reporting and tracking that not only shows your analytics, but it also shows you how to fix the problems that you may have whether it be getting more traffic, how to be shared on social media, or if you need more links back to your site. SEO by Squirrly has a free version that is available in the WordPress Plugin Directory. Try it out. We would love to hear from you about how SEO by Squirrly is working for you.